We're still eating turkey in this household, so in my mind...it's still Thanksgiving! This is my favorite holiday. It's like Christmas, without all the crazy shopping and overspending. And Easter, without all the candy. It's a day that refocuses my mind - for at least a week - on what's truly important. We need more holidays like this. I want to share with you how, despite some heartaches this year, I am still mindful of how blessed I am. These blessings are in no particular order. 1. I still love our 25-year-old house, despite the fact that the kitchen is about the size of a walk-in closet. This dear home has raised three kids to adulthood, weathered copious Florida hurricanes with no flooding, housed many, many friends and family, and tolerated one lovable dog who liked to drag dead squirrels inside. 2. 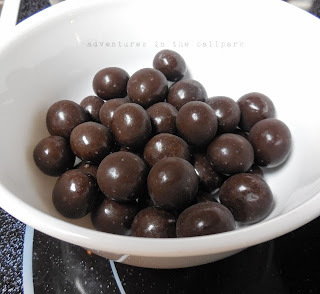 I'm so grateful for dark chocolate-covered malt balls. I don't know why it took someone so long to create these, but they should get the Nobel peace prize. 3. I'm grateful I have a handy husband. 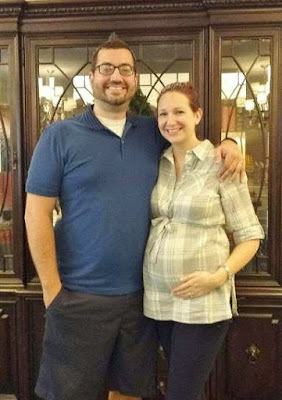 Between the two of us, we can manage most home repairs and updates. 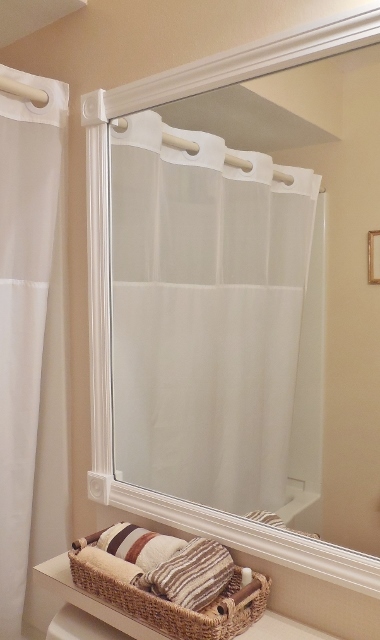 Recently, we re-framed an old, industrial-grade bathroom mirror. 4. I'm beyond grateful that my handy husband is finally recovering from vertigo - a condition that made him so sick a week ago, he was sleeping on the bathroom floor. It's an odd inner ear imbalance problem that is completely debilitating, and it often springs up for no apparent reason. Whoever figures this one out really deserves a prize. 5. I'm grateful the little fender bender I had two weeks ago hurt no one and no one else's car either. Only my own, which is fair, I suppose. Luckily, I have first-accident forgiveness, so I have only my deductible to pay, and I can move on with my life. Thank you, USAA. 6. 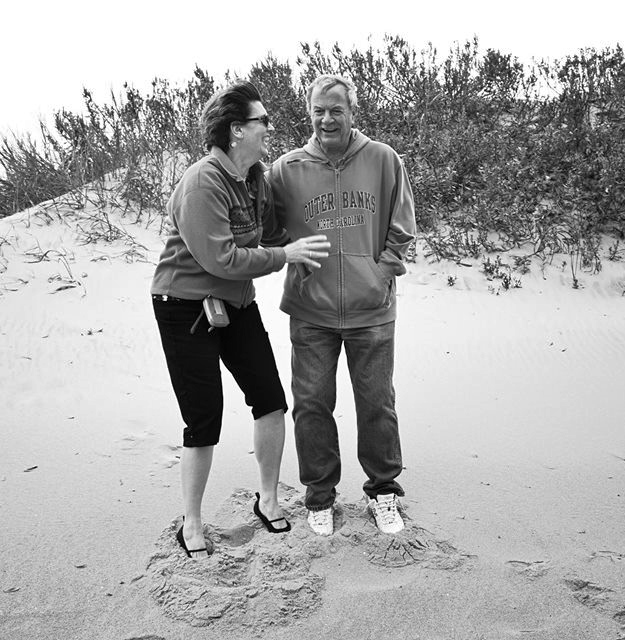 I'm grateful for a week in a condo on the beach last month to celebrate our 40th anniversary. This was a gift from many family members and we have great photos to remind us of this time away from our own lives. Here's one of my favorites. Thank you, son Jeremy, for taking so many lovely photographs. 7. I'm grateful for my nutritionist, who by muscle testing keeps me on track with eating well, despite my occasional cheating with chocolate-covered malt balls. 8. I thank God that Dad is finally recovering from his fall six weeks ago. He had several set-backs, and we wondered if he would be able to return to his ALF, where Mom is. Looks like that will likely happen now. 9. I'm grateful that my ebook about our family Christmas project (here: THE 12 DAYS OF CHRISTMAS ADVENTURE) is finished and was published in July. I felt called to write it and share it with the world. What happens with it now is up to God. 10. I'm grateful for our local thrift shop. It reminds me that "stuff" is recycle-able and share-able and trade-able. I love taking a bag of things there just about monthly, and I love finding an item there I need. We could all save so much and probably help the planet too, if we would just rotate our stuff. 11. I'm grateful for Champion brand sport bras. For various reasons. Enough said. 12. 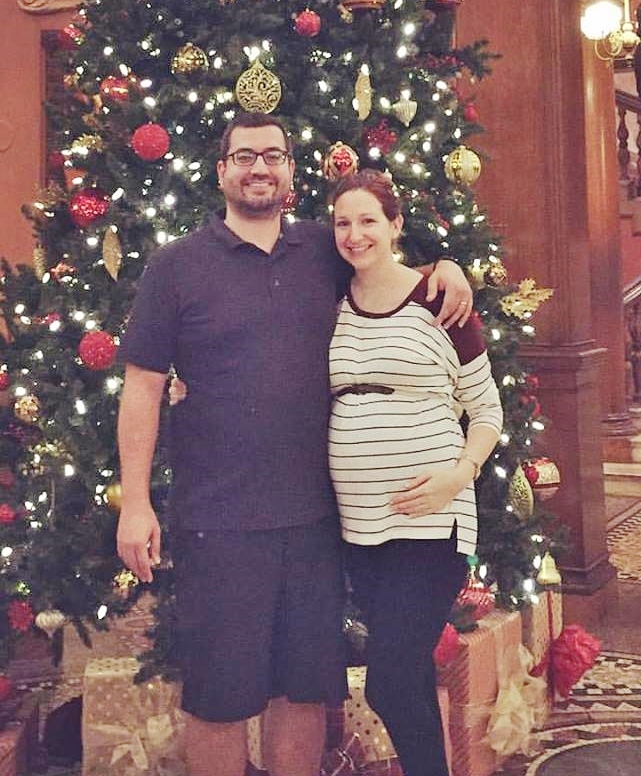 I'm grateful, delighted really, for our first grandchild James, who is six months, pre-born. Here he is with his folks, our son and his wife. Isn't he the most beautiful pre-born you've ever seen? He looks great in plaid, don't you think? Clearly, I'm going to be one of those nutty grandmas, but I'm OK with that. James and I will be buds. 13. I'm mostly grateful that I know there is a sovereign God who loves me and has a plan for my life. Without that, nothing else makes any sense.